Well, I thought I was going to be lucky this year, but I was wrong. I ended up getting a cold. I felt it coming on yesterday and it was full-blown today. I’m just hoping it isn’t the flu. 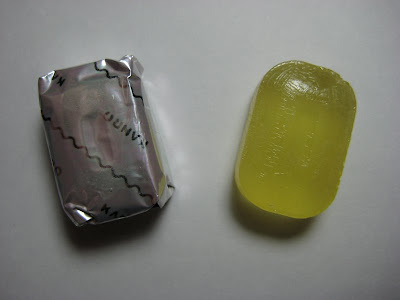 When my throat gets dry or sore my favorite candy is the one pictured above. 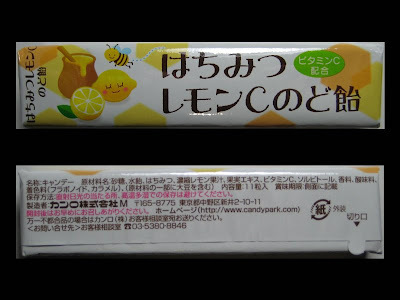 There are a wide variety of noda ame candies in Japan. This particular one is my personal favorite. It sweetness isn’t overwhelming. If your throat really hurts lozenges that are too sweet get old quickly. It is sometime hard to find this particular nodo ame. I have only seen it at 7-11 and NEWSDAYS convenience stores.